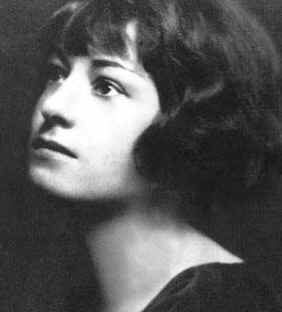 On August 22, 1893, writer, poet and critic Dorothy Parker was born in West End, New Jersey. Her witty, irreverent and sometimes scathing sense of humor enthralled and entertained audiences across numerous genres from the Jazz Age until the Swinging Sixties. Parker’s childhood was a lonely and unhappy one. Her mother died in 1897, and her father’s new wife, who died in 1903, was not to her liking. Dorothy attended a Catholic boarding school but did not stick around to graduate, instead acquiring her vast wealth of knowledge through her voracious reading habit. Around this time, Parker formed the inner circle of what became known as Algonquin Round Table along with writers Robert Benchley and Robert Sherwood. The Algonquin Round Table was an informal lunch-time gathering at the Algonquin Hotel, where like-minded literati met to exchange intellectual discourse and witty repartee delivered at lightning speed with impeccable timing. No-one did this with more flair than Dorothy Parker. Dorothy’s life took on the surface sparkle of the Jazz Age during the Roaring ‘20s – trips to Europe, parties and speakeasies and wise-cracking. Parker was one of the most quoted women of the time. Her volumes of poetry (Enough Rope in 1926 and Sunset Gun in 1928) were published, and to her great surprise did very well. But she also had several disastrous love affairs, an abortion and at least two suicide attempts. On the bright side, her autobiographical short story Big Blonde won the O. Henry award in 1929. She and her new husband writer Alan Campbell, 11 years her junior, moved to Hollywood in 1934 where she contributed to or wrote the screenplays for 39 films, including the classic A Star Is Born. She helped form and served on the Screen Writers’ Guild, but was always highly ambivalent about the work she did during her years in Hollywood. She also began working as a critic again during the 1930s – this time for the New Yorker. Parker became a socialist in the late 1920s and was arrested while protesting for the release of Sacco and Vanzetti. She went to Spain to join the fight against Franco during the Spanish Civil War, and was blacklisted during the McCarthy Era for her pro-Left stance. After divorcing, remarrying, separating, and reconciling with Dorothy over the years, Alan Campbell overdosed in 1963. Parker herself died alone of a heart attack in a New York hotel room June 7, 1967. A champion of the civil rights movement, she bequeathed her entire estate to Martin Luther King, Jr. Here lie the ashes of Dorothy Parker (1893–1967) humorist, writer, critic. Defender of human and civil rights. For her epitaph she suggested, ‘Excuse my dust’. This memorial garden is dedicated to her noble spirit which celebrated the oneness of humankind and to the bonds of everlasting friendship between black and Jewish people. Dedicated by the National Association for the Advancement of Colored People. October 28, 1988. She was, by any reckoning, one of a kind.